Silver Spoon Entertainment - Live Event Excellence Since 1995! : Wyndham's Wonderful Wedding! Tonight we had the honor of performing at the beautiful Wyndham Hotel in Milwaukee, and we had a spectacular night. We started early...we went late...and we had a fantastic time! Our bride and I have known each other since high school, and the groom and his family couldn't have been more welcoming. The dance floor stayed full all night, and everyone had a blast! 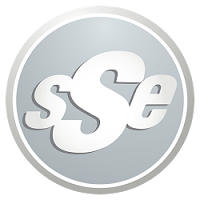 Care for a bit of SSE trivia? Spoon DJ'ed his very first wedding in this room over 13 years ago. You gotta love it, baby! Big congrats to Tyler and Katherine!